Your website is off the ground and is doing great. You are planning for the future and things are looking up for you. This is all fantastic, but you can’t neglect the security of your website. Unfortunately, there are hackers and cybercriminals who seek to attack your website for a small profit. You cannot let them succeed. You put too much time and money into your website for it to be stolen away by a hacker sending out attacks in order to make a quick dollar and ruin your passion or livelihood. 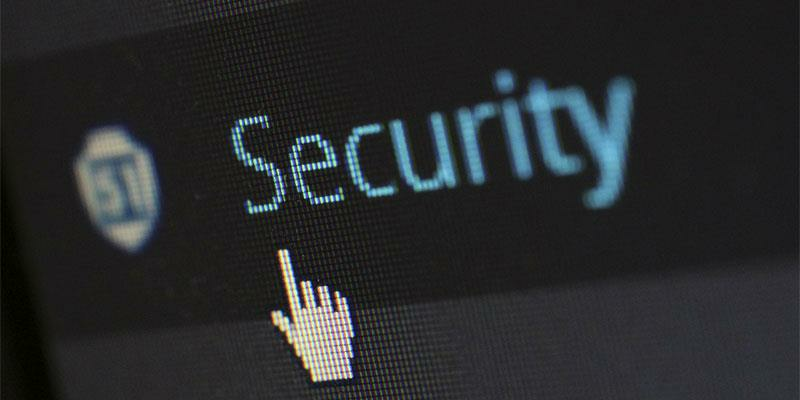 There are ways you can protect yourself from these attacks, and you need to master them before your site becomes a target. Your website is solidly linked to the computer or device you use to manage it. Without even considering the files and data you keep about your website that could be stolen, the access that someone could have to your website if your computer were compromised is frightening and attention-getting. You need to lock down your computer before you do anything else. You need to use the strongest (more than ten characters of varying types) passwords you can remember. Your internet security programs need to be up to date, and they need to be the best on the market. You need to keep your entire computer organized in order to keep track of every file on your computer so that way you will be able to notice is a file goes missing or is moved. Your online security habits need to be top-notch as well. The best thing you can do is only use secure websites that are known to be legitimate and safe. You absolutely shouldn’t download anything that you aren’t certain about, and you need to make sure problematic websites aren’t leaving malicious cookies on your browser. It is a lot to keep track of, but I believe you are up to the challenge. Go take a look at your website now. Do you know every last nook and cranny of its content? Do you know what parts are left undone, or if there might be any cracks in the coding that a hacker could try to exploit? Do you have a plan on where to build from once you have a better hold on the website you have now? What are your plans for the next year regarding your website, and what could ruin your plans? Any cybercriminal worthy of the term will be trying to answer these questions for you as they try to attack your website. They will attack you at your weakest point, so you have to know what that is and try to shore up its defenses. Know your website. Take whatever time you need, as it will not only increase your security, but it will allow you to better administer it. This gives you an edge in the incredibly competitive online world. While knowing your website and locking down your main computer will help a great deal when it comes to the standard attacks out there, hackers have devised other methods of trying to get ahold of important data and website control. What many will do is sit down on a public WiFi network and pretend to do something else. They’ll set up a program and device (that is hard to notice) that will intercept all communications and data travelling over the network. This can include personal data, financial data, or passwords to accounts relating to your website. To protect yourself against this form of attack on your website, you need to use a Virtual Private Network (VPN). What a VPN will do is connect your computer to a remote server using an encrypted connection. This connection will act like a “tunnel” that will protect your data as it passes over the network. This means that you will be able to safely do as you will on a public network. In addition to this, you will also have the benefit of being protected from many forms of online surveillance, as your IP address will be masked by the offsite server. It is one of the best all-around tools you can get to protect your computer. There are, of course, other ways of defending your website, such as plugins or design changes, but those are heavily dependent on your website’s purpose and platform, rendering any universal tips misleading. That being said, you can and should search for what you can find, and take steps today to protect your precious website. Thank you for reading, and I know that you will be able to get the most security out of your efforts. Caroline Black is a professional blogger and internet security expert writing on behalf of Secure Thoughts, a website that focuses on internet security and security solutions. Her other main topics of interest include travel security and new technology.